30 Round Black Advanced Warfighter Magazine | BUDK.com - Knives & Swords At The Lowest Prices! 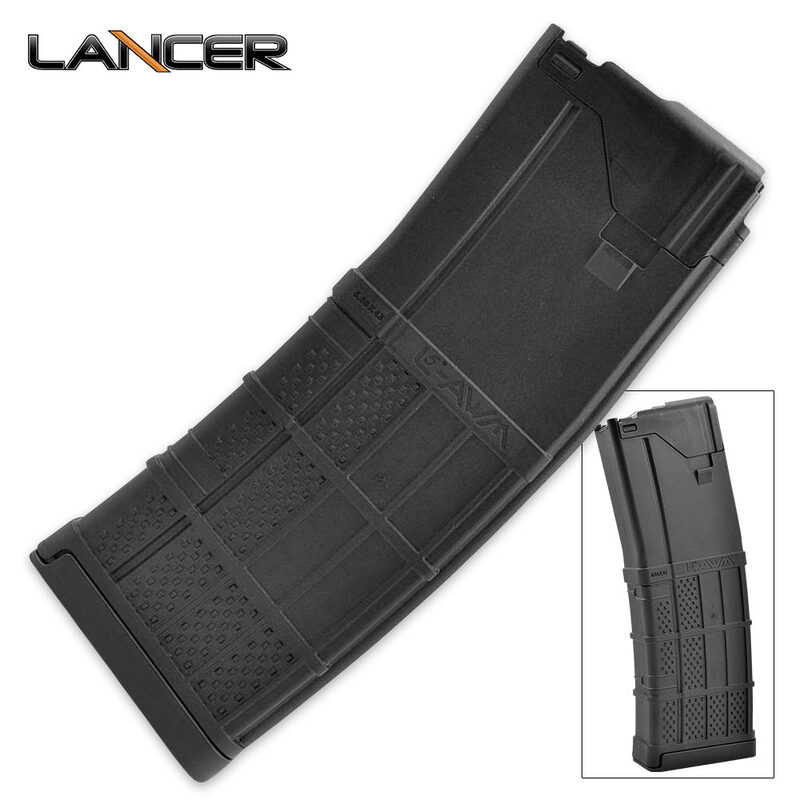 The magazine design of the L5 Advanced Warfighter includes a one piece, wrap-around steel feed lip assembly and an aggressive surface texture to create the ultimate hybrid magazine tough enough for military, LE and commercial use. 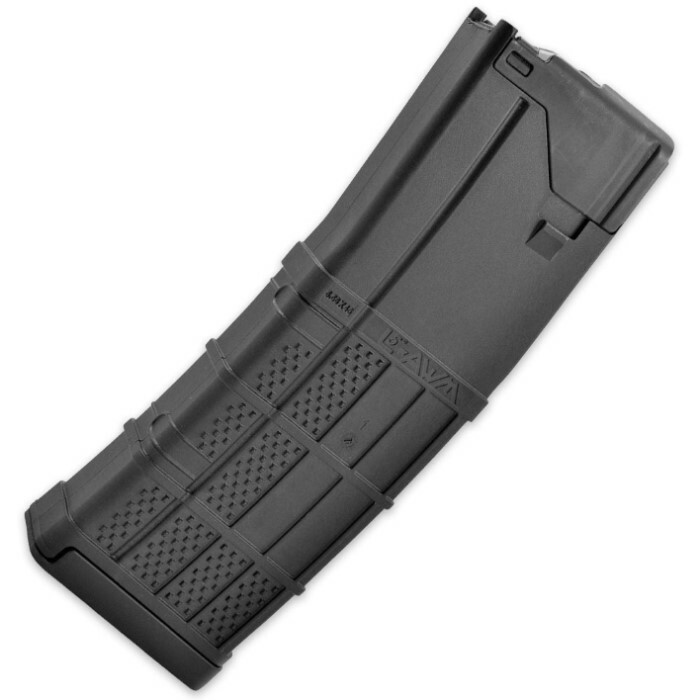 The internal geometry of the magazine is a constant curve to maximize feed to the 5.56X45mm NATO round with a non-tilting follower for trouble-free feeding. The impact resistant polymer body and component materials are corrosion and chemical resistant, passing military chemical testing, including exposure to DEET. The slim body magazine is black. This magazine has been designed, tooled, manufactured and assembled in the USA.